Sleepwalking your way through life because you’re not sleeping well can be exhausting. You cannot think clearly, and you can easily make bad decisions, and enemies because you’re cranky. While sleep disorders are common, approximately 50 to 70 million adult Americans​​​​ have them, and you can improve the way you sleep by learning new habits by following these tips. Does Removing Electronics From Bedroom Help You Sleep? Having them in your bedroom increases the amount of light at night and engagement in night time activities, like searching the internet or working. Regulating the amount of light in the bedroom is important for keeping circadian rhythms in balance with the day-night cycle. Photoreceptors in the retinas can sense light and dark, so when they become aware of light, the body wakes up to start the day. Then, when it gets dark, the body gets ready to rest, which makes it easier to fall asleep at night. However, the presence of electronics in the bedroom can confuse the brain because even a small amount of light can promote wakefulness, no matter the time of day or night. While adults are susceptible to this problem, children are even more sensitive to the presence of light. Does Electronics Increases Stress Before Bedtime? Engaging with electronics prior to going to bed can increase the levels of stress your body feels, which can also reduce sleep quality because the brain becomes more active, which stimulates the neurons. Researchers also found out that whether you play a video game or answer an email, your body can become tense. As the body is stressed, it stimulates the “fight or flight” mode that people experience in stressful situations. It can result in a release of the stress hormone cortisol, which is produced by the adrenal gland. A rush of adrenaline, which is also released during stress, can increase your respiration rate, heart rate, and prevent falling asleep. Even though answering a simple email seems harmless, it isn’t conducive to turning over and then trying to get quality sleep. Watch this video to get more information about how having electronics in the bedroom can affect sleep, then move them to another room. What Happens When Kids Get Less Sleep? Studies show that using electronic devices to help children sleep can have a detrimental effect because children end up having later bedtimes, get less sleep, and experience more daytime sleepiness. Adolescents with a TV in the bedroom also have later bedtimes and experience more daytime sleepiness. Due to the influence of electronics in the bedroom, whether they are for recreational purposes or homework, children of all ages do not get the sleep they need to grow, learn, control their moods, be creative, and to control their weight. Understanding the influence of electronics on light and nighttime sleeping habits can help parents remedy the situation. The body’s natural rhythm is to sleep when it is dark and be awake when the sun is up. However, not everyone works a nine to five job, so their sleep rhythms are often out of sync with the circadian rhythms. Increased risk of accidents and injuries due to drowsiness. Fortunately, you can disrupt the body’s confusion by controlling the amount of light that comes into your bedroom if you need to sleep when the sun is up. When you need to go to sleep, try to make the bedroom as dark as you can so your body knows it is time to rest. Limit the use of electronics when you get home from work and, when you go into your bedroom, close the shades. Installing light blocking shades or blinds will help make the room darker. You can also rearrange the bedroom to make it more conducive to sleeping when it is light outside. First, reduce the clutter in the room because piles of papers, clothes, and boxes littering a room can make some feel anxious. Rearrange the furniture, so it feels more natural to you and remove the electronics from the room to remove the distractions. You want to make your bedroom a haven for sleeping, so when you step inside of it, your body and mind relax, which can promote getting good quality sleep. Paint the walls a color you think is soothing to help promote relaxation. Extend the colors to your bedding, the artwork on your walls, and anything else in your bedroom, such as the color of the fabric on your furniture. Limiting the amount of light in your children’s bedrooms can be even more important than limiting it in yours. They are more sensitive to the effects of light than adults, so you want to create a relaxing atmosphere in their rooms to help promote good quality sleep. Limit the light from the sun, traffic, and streetlights by installing room darkening shades on their windows. Then, limit the electronics they have in their rooms, and their time watching television or playing games before they go to bed. In a young child’s room, take out all electronic devices. If your child is more comfortable with a night light, then get one with a red bulb to limit disruptions to their sleep. For babies, limiting the light is important to help their circadian rhythms mature, so use light blocking shades during naps and at night, try not to turn on lights for feedings. In the morning, spend a few moments outside to allow them to absorb indirect sunlight. When you maintain a sleep schedule, your body has an easier time going to sleep. It is also easier to get up at the same time every day. So, set a schedule that works around school or work and stick to it, even on the weekends or your days off when you’re tempted to sleep later. You should also establish a calming activity to do before going to bed. Find something that can reduce stress and help you relax, so that when you go to bed, your mind shuts down so you can sleep. Some people like to knit or crochet, some read books or others listen to calming music or sounds to lull them to sleep. By establishing a sleep routine and getting enough sleep each night, your mental abilities will improve. Your memory can become sharper and you can “practice” skills you’ve been learning during the day, whether it is a new language or an activity like crocheting. Sleeping too much or not enough is associated with a shortened lifespan, though researchers are not sure why. While illnesses can affect the amount of sleep people get, it doesn’t necessarily equate to shortened life spans due to too little or too much sleep.A 2010 study found that were more deaths for women between the ages of 50 and 79 who slept five hours or less or more than six and a half hours or more. Since sleep, or lack of it, can affect the quality of life, developing good sleeping habits may help you live a better life and live it longer. Getting more sleep can help reduce inflammation, which can affect your health. Inflammation has links to heart disease, diabetes, strokes, arthritis, and premature aging. Research has found that people who sleep six hours or less at night have higher levels of inflammatory proteins in their blood than people who get more sleep. Also, getting treatment for sleep disorders, such as insomnia or sleep apnea, can also reduce inflammation and high blood pressure. Along with getting a proper amount of sleep and treatment, you can reduce the chances of heart attacks or strokes, as well as other health issues. The benefits of developing a sleep schedule far outweigh the consequences of staying up later or sleeping in during the day. Once you determine your sleep needs, set a schedule and stick to it as much as you can to improve your health and your cognitive functions. Along with creating a bedroom conducive to sleep and setting a sleep schedule and exercising can also help you sleep better. However, you shouldn’t exercise prior to going to bed as that can increase your heart rate and make your body and mind more alert, which can make going to sleep difficult. By exercising early in the morning, you can get it done before you get distracted by other things, such as getting the kids ready for school and getting ready for work. Also, morning exercise helps to promote good quality sleep, which in turn can help people lose weight. Why Choosing Morning Exercises Help With Sleep? It doesn’t matter what type of exercise you do in the morning as long as you stick to it and get moving. You could walk the dog, do stretches, cycle, or lift weights. One popular morning exercise for many people is yoga. A study done on yoga found that it can help prevent weight gain and promote losing weight. Researchers studied both overweight and normal-sized people who practiced yoga for at least one 30-minute session a week, and who had been doing so for at least four years. They found that overweight people who practiced yoga lost an average of five pounds, while overweight people who didn’t, gained an average of 14 pounds. Normal-sized people who did yoga gained less weight than people who didn’t practice it. Along with losing weight and sleeping better, there are several other benefits to early morning exercise. After exercising, your body can continue to burn calories no matter if you’re working at a desk or running errands throughout the day. It is called excess post-exercise oxygen consumption, and at least one study on EPOC found that participants burned an additional 190 calories during the 14 hours after exercising than those who didn’t exercise. It is best to eat after you exercise in the morning because it will replenish the fluids and energy you used. Also, it will help to boost your metabolism so that you can burn calories all day. This benefit isn’t available when you exercise in the afternoon or evening. Exercise is a great source of energy for both the body and mind. Morning exercise has been shown to help sharpen focus and mental abilities throughout the day, and it has been found to be more effective at helping people mentally wake up than coffee. So, instead of reaching for a cup of joe, put on your running shoes and hit the treadmill or take your dog for a walk first thing in the morning. Early morning exercise can also help improve your quality of life. Along with getting a better quality of sleep and boosting your metabolism to help lose weight, researchers have been studying exercise as a way to help people with mental illness. Developing and sticking to a morning exercise routine also improves self-discipline, which can carry over to other aspects of people’s lives. Ideally, you shouldn’t eat before going to bed, but for some people, it can be difficult to do. People who do shift work come home tired and hungry, so they may have a meal or snack before going to bed. However, if you can prevent it, try not to eat three to four hours before bedtime. Here are some benefits of not eating before you go to sleep. When you go to bed on a full stomach, it can impede efforts to get a good night’s sleep. You may feel bloated and develop gas, which can make you uncomfortable. It can sometimes interrupt your circadian rhythm, and lead to problems managing your blood sugar levels, especially if you’re a diabetic. Try not to eat at least three hours prior to bedtime or avoid sleep disruptions. If you’re eating a healthy diet and are trying to lose weight, you should stop eating three to four hours before going to bed. Everything you do helps burn calories, but if you eat before going to sleep, those calories can be stored as fat. However, by not eating, you have a better chance at reaching your weight loss goals. A study found that people who are “late eaters,” which are those who have their biggest meal after 3 pm, lose less weight and it took more time to lose weight than “early eaters” or people who eat before 3 pm. So, if your goal is to lose weight, eat your big meal earlier in the day and do not eat before bedtime. If you have issues with heartburn, not eating three hours before you go to bed can help reduce problems with acid reflux. It takes about three hours for the stomach to empty after eating, so if you go to bed on an empty stomach, it is less likely to produce acid that can back-up into your esophagus. Also, the body digests food better sitting up due to the pull of gravity. Acid reflux is not just annoying, and sometimes painful, but it can lead to other, more serious, medical conditions. It can lead to coughing, hoarseness, asthma, and, sometimes, a rare form of throat cancer. To avoid these complications, stop eating prior bedtime, and avoid foods that trigger acid reflux. Another way to ensure getting a good night’s sleep is to buy the best mattress you can afford. A mattress affects the quality of sleep you get in several ways. It can reduce blood flow to the capillaries in your body. When you sleep in one position for too long, it reduces the blood flowing through these small vessels. It can deprive your body of oxygen and nutrients, as well as cause nerve cells and pain sensors to signal your brain to turn over. While the blood is then restored to your body, your sleep is interrupted. A good mattress reduces the pressure points on your body, so your sleep isn’t disrupted. A good mattress also supports your body weight and skeletal system to prevent issues with pain. However, a good mattress is different for everyone because some people like firmer mattresses, they may sleep with a partner every evening, or they may prefer a pillowtop or a memory foam mattress. There are some obvious signs that you need a new mattress, such as one that has a dent shaped like your body in the middle of it because you’ve had it for decades. Also, if you’re tossing and turning at night because you cannot find a comfortable position, then it is time to consider a new mattress. When you flip your mattress, you may notice it is heavier than when you first got it. A mattress gains weight due to the presence of dust mites and an accumulation of dead skin cells that it has absorbed over the years. Many people are allergic to dust mites, approximately 20 million people in the United States, so if your skin feels itchy, it could be due to them. The presence of dust mites can be especially problematic for people with asthma as they can trigger it. While washing bedding in hot water will deter dust mites, the better solution is to get a new mattress, especially if you’ve had yours for 10 or more years. If you feel stressed when you go to sleep on your old mattress, it may be a sign that it is worn out. In a study of 59 healthy men and women, they had them sleep on their old mattresses for 28 consecutive nights, and then on a new firmer mattress for the same number of nights. When they were asked to report their stress levels, which included racing thoughts, irritability, headaches, worrying, and more, their levels showed a significant reduction after they slept on the new beds. So, if you have trouble with stress or your mind racing at night, consider a new mattress to help bring relief. The best way to choose a new mattress is to test them in the store. However, most stores are well over price and have tactic sale people. Shopping online is the new way to avoid over price mattresses with pushy salespeople. Although it may seem embarrassing, you don’t want to plunk down hundreds of dollars on a mattress, only to find out that it is extremely uncomfortable. When you go online mattress shopping, read the reviews, understand the trial period, find out the return policy and recognize the brands. Most online mattresses store understands that shopping online can be different. Therefore most stores have 90-day trial periods and none/ to low return fees. Also, understand the different types of mattress make a substantial difference in price and comfort. Here is a list of the most common types of mattresses. The type you select is a personal preference, so understand the the different types is best way to find one you like. If you have a spouse or partner, take them to a local mattress store with you because they need to be comfortable with the mattress that is bought as well. Also, test the mattress out together to make sure both of you can comfortably sleep on it at the same time. It is important to buy a mattress that is supportive of how you sleep. People tend to sleep on their side, back, or some sleep on their stomachs. A comfortable mattress is one that can support your back, head, neck, and shoulders in the position in which you sleep. The best mattresses for side sleepers are memory foam or pillow-top mattresses. They allow your body to slightly sink into the mattress at the hip and shoulders, which helps to keep your back in alignment. Since pillow-top mattresses are innerspring or coil mattresses, you can select the level of firmness you prefer. For people who sleep on their backs, they need a mattress that has enough give to keep their spine in alignment, but one that is also supportive. Also, any of the mattress choices can provide support, but they may want to stay away from memory foam because it may have too much give. Testing out mattresses is especially important for those who sleep on their backs. Some people prefer sleeping on their stomachs, which calls for a firmer mattress to provide the best level of support. However, if you’re someone who gets hot at night, memory foam can seem smothering because it absorbs heat from your body and doesn’t cool down like other mattresses. A firm innerspring, latex or a firm air mattress may be the best choices for stomach sleepers. These tips for improving the quality of your sleep can help you avoid sleeping disorders, poor health, and other consequences of sleeping poorly. Creating an oasis in your bedroom for sleep by de-cluttering it, removing electronics, and controlling the amount of light can help you sleep soundly. It can also help you lose weight, improve your overall health, and make you mentally, as well as physically, sharper. By reading these tips and the additional resources, you learn about improving your sleep habits to get the best night’s rest possible and improve your life. Alex Cubias is a writer at Mattress Story. He has been in the bedding & mattress industry since 2010. He covers a wide variety of mattress topics including necessary bed information to very detail construction of mattresses. Alex is from southern California and fills his spare time hanging with his family, eating tacos and relaxing. What is Different About an RV Mattress?  MattressStory.com is a participant in the Amazon Services LLC Associates Program, an affiliate advertising program designed to provide a means for sites to earn advertising fees by advertising and linking to Amazon.com.